To get the most for your money, it is important to focus not just on the look, but also on the quality of material, hinges and the joinery of your cabinetry. We at BHR would like to help you identify some of those important items so you can be more informed during your cabinetry purchase. Lower quality cabinetry may “look good” on display and possibly after the initial installation, but it won’t be long before some of the common signs of low quality start to show up. These signs include door joints opening up, doors sagging or falling off the hinges, doors not closing properly, alignment of the cabinetry that’s not square, shelves sagging and drawer guides sticking. Finish failure and overall appearance of cabinetry looking worn out after only a couple of years of use. Many of the quality issues are related to the material and construction methods used. The irony in all of this is that it really doesn’t cost more to buy great cabinetry, when you consider the headaches and lifetime cost associated with buying cheaper cabinets. 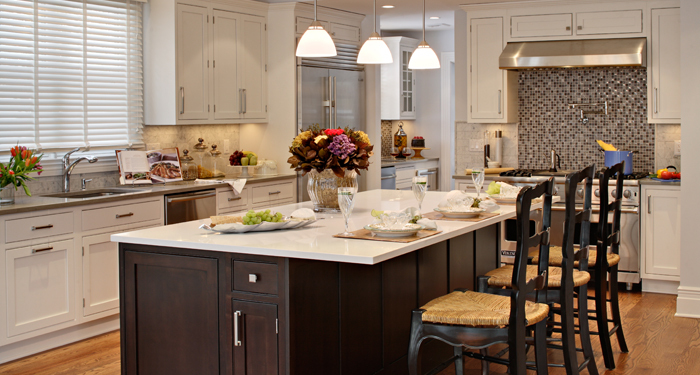 Below is an overview of the components and elements you’ll want to look for when choosing cabinetry for your home. Material used: Veneer core plywood is best. Stronger, more durable, more stable and less susceptible to moisture. Thickness. Many products scrimp on the thickness of the case material. Review the thickness of the sides (ends). The sides should be at least 1/2 inch in cabinets with unfinished ends and 3/4 on finished end. 3/8 and 5/8 are flimsy and not substantial enough to hold together. Always inquire about back and bottom thickness. You may be surprised to learn that 1/8 inch backs are common. Be sure that the backs are at least 1/4 inch and have integrated hanging rails. Construction methods: the bottoms, sides and top should be integrated together through a method of tongue and grove, dado or some similar fashion. 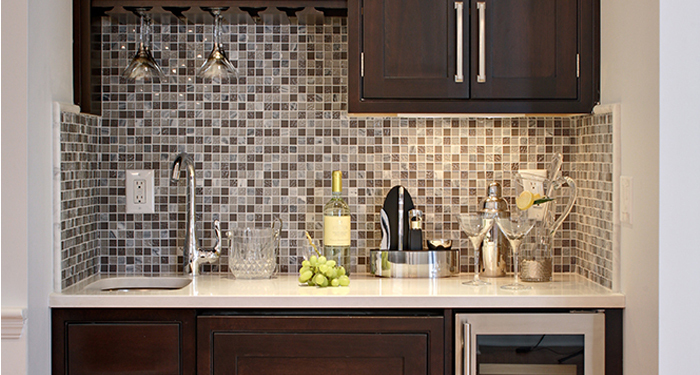 Face frame cabinetry should have the frame and box integrated together for maximum strength. 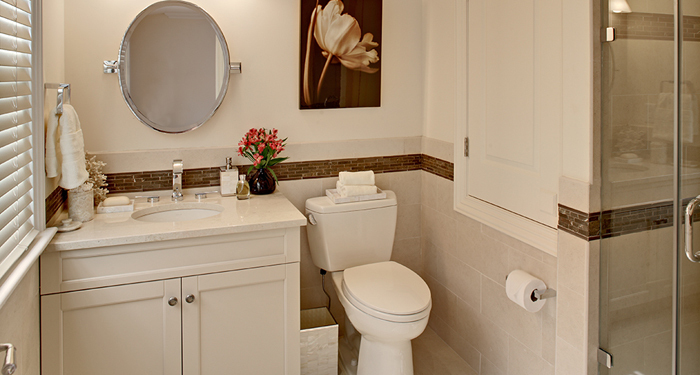 Having an integrated back rail is especially important, since wall cabinets are hung from there. If the back rail is not integrated into the back panel and the sides, there is a greater chance the cabinetry could fall, leaving the back panel on the wall. Tight joints. Review the tightness of the joints on the face frames and doors. These joints should be closed and not have open cracks. Center panels. 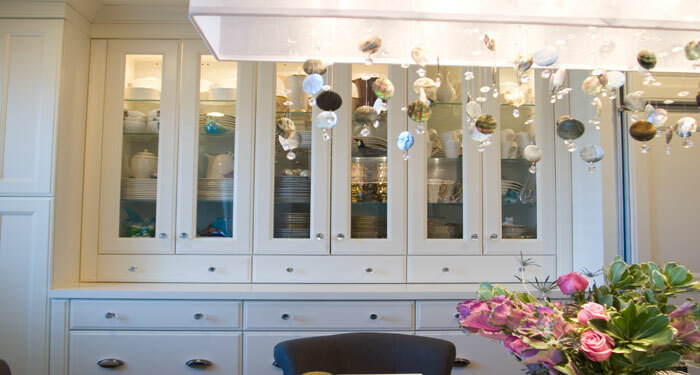 The center panels of the doors should not rattle when they close against the front of the cabinetry. Drawer boxes should be English dovetailed that a 5 piece drawer box -2 sides, front, back and bottom. It is important to have at least 1/4 plywood bottoms for drawers. These tips are not meant to forgo the importance of a good warranty. 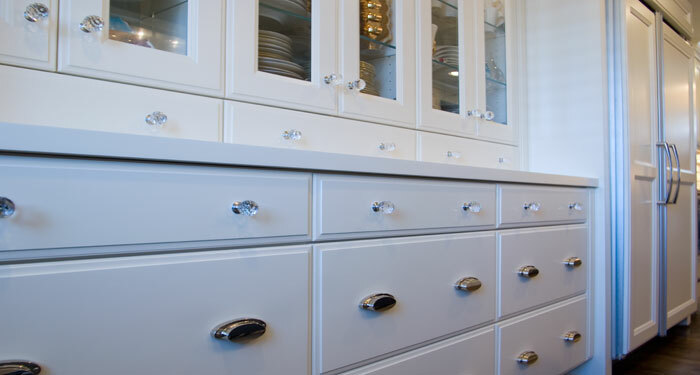 With proper maintenance and care, your cabinetry should long continue to look as good and perform as well as it did on the day it was installed. 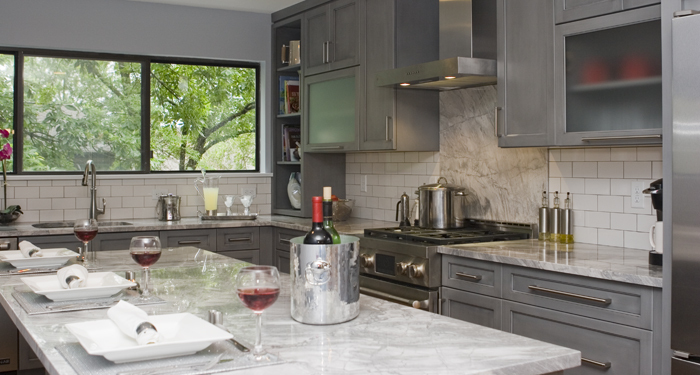 Call for a free consultation with our team to discuss design ideas for your new kitchen and bath. Give us the opportunity to create the extraordinary for you. Contact us at (908) 273-9011 to set up an appointment.